Home Politics Will Obama’s offshore drilling ban be Trumped? Will Obama’s offshore drilling ban be Trumped? President Obama gave environmental advocates a Christmas present when he announced in late December that he was banning oil and gas drilling in huge swaths of the Arctic and Atlantic oceans. This action “indefinitely” protects almost 120 million acres of ecologically important and highly sensitive marine environments from the risks of oil spills and other industrial impacts. President Obama acted boldly to conserve important ecological resources and solidify his environmental legacy. But by making creative use of an obscure provision of a 1953 law, Obama ignited a legal and political firestorm. Republicans and oil industry trade groups are threatening to challenge the ban in court or through legislation. 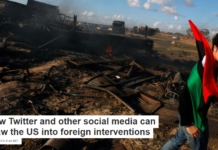 They also contend that the Trump administration can act directly to reverse it. But a close reading of the law suggests that it could be difficult to undo Obama’s sweeping act. Starting in 1960 with the Eisenhower administration, six presidents from both parties have used this power. Most withdrawals were time-limited, but some were long-term. For example, in 1990 President George H. W. Bush permanently banned oil and gas development in California’s Monterey Bay, which later became a national marine sanctuary. 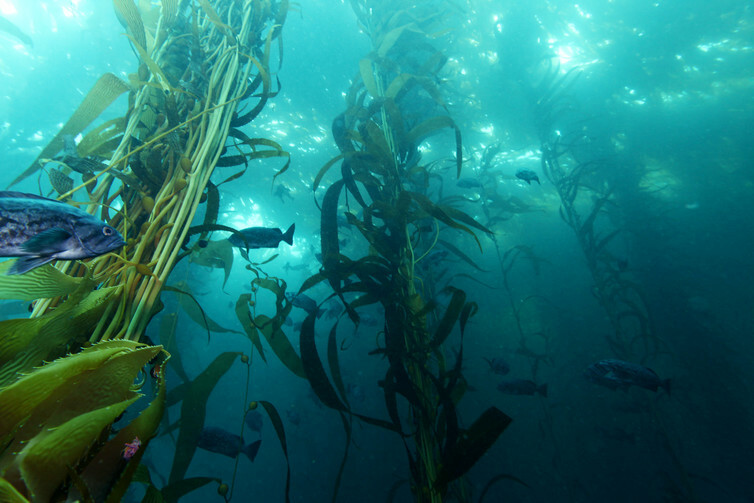 Kelp forests in the Monterey Bay National Marine Sanctuary support many marine species. President Obama used section 12(a) in 2014 to protect Alaska’s Bristol Bay, one of the most productive wild salmon fisheries in the world. In 2015 he took the same step for approximately 9.8 million acres in the biologically rich Chukchi and Beaufort seas. Obama’s latest action bars energy production in 115 million more acres of the Chukchi and Beaufort seas – an area known as the “Arctic Ring of Life” because of its importance to Inupiat Peoples who have lived there for millennia. The order also withdraws 3.8 million acres off the Atlantic Coast from Norfolk, Virginia to Canada, including several unique and largely unexplored coral canyons. In a Presidential Memorandum on the Arctic withdrawals, Obama provided three reasons for his action. First, he asserted, these areas have irreplaceable value for marine mammals, other wildlife, wildlife habitat, scientific research and Alaska Native subsistence use. Second, they are extremely vulnerable to oil spills. Finally, drilling for oil and responding to spills in Arctic waters poses unique logistical, operational, safety and scientific challenges. Market forces support Obama’s action. Royal Dutch Shell stopped drilling in the Chukchi Sea in 2015 after spending US$7 billion and drilling in what proved to be a dry hole. Since 2008 the Interior Department has canceled or withdrawn a number of sales in Alaskan waters due to low demand. Shell, ConocoPhillips, Statoil, Chevron, BP and Exxon have all to some degree abandoned offshore Arctic drilling. 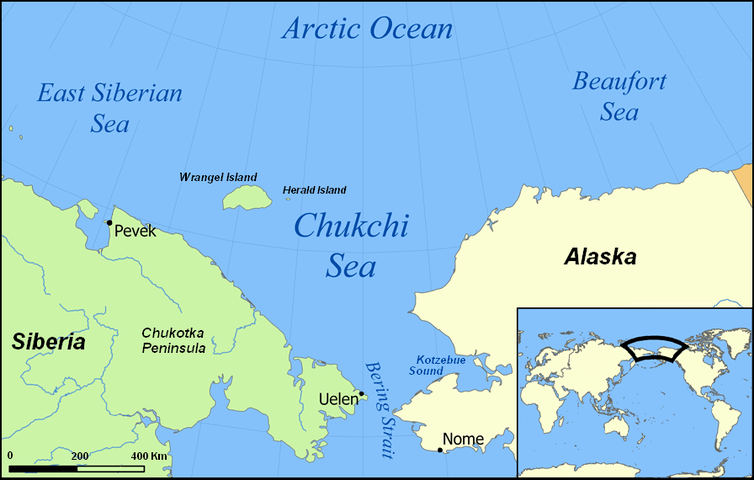 The Beaufort and Chukchi seas are zones of the Arctic Ocean off the coast of northern Alaska. Critics of President Obama’s action, including the state of Alaska and the U.S. Chamber of Commerce, say they may challenge Obama’s order in court, in hopes that the Trump administration will opt not to defend it. 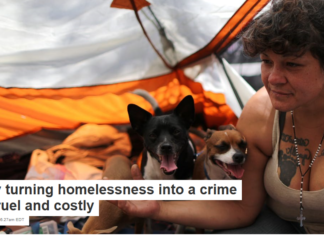 But environmental groups, which hailed Obama’s action, will seek to intervene in any such lawsuit. Moreover, to demonstrate that they have standing to sue, plaintiffs would have to show that they have suffered or face imminent injury; that this harm was caused by Obama’s action; and that it can be redressed by the court. Market conditions will make this very difficult. The Energy Information Administration currently projects that crude oil prices, which averaged about $43 per barrel through 2016, will rise to only about $52 per barrel in 2017. Whether these areas will ever be commercially viable is an open question, especially since rapid changes are taking place in the electricity and transportation sectors, and other coastal areas are open for leasing in Alaska’s near-shore waters and the Gulf of Mexico. The Royal Dutch Shell drilling rig Kulluk broke loose and ran aground near Kodiak Island in the Gulf of Alaska as it was being towed to Seattle for winter maintenance in December 2012. This Coast Guard overflight video shows the harsh conditions along Alaska’s coast in winter. Alternatively, Donald Trump could issue his own memorandum in office seeking to cancel Obama’s. However, section 12(a) does not provide any authority for presidents to revoke actions by their predecessors. It delegates authority to presidents to withdraw land unconditionally. Once they take this step, only Congress can undo it. 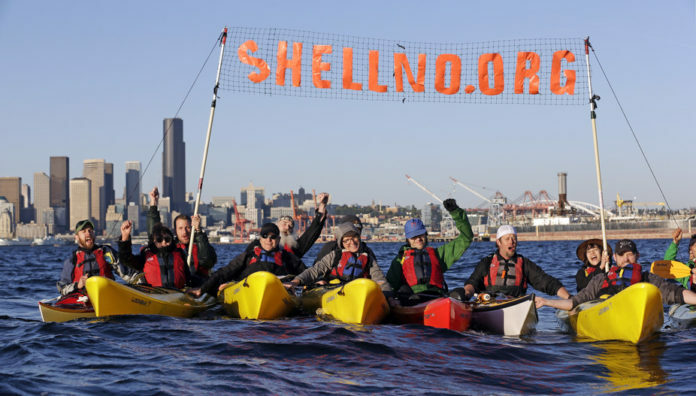 However, one could argue that Obama’s action was based on an articulation of intelligible principles gleaned from the stated policies of the OCSLA, which recognizes that the “the outer Continental Shelf is a vital national resource reserve held by the Federal Government for the public.” The law expressly recognizes both the energy and environmental values of the OCS. Thus President Obama’s decision reflects a considered judgment that the national interest is best served by protecting the unique natural resources of these areas, while at the same time weaning the nation from its dangerous dependence on fossil fuels. 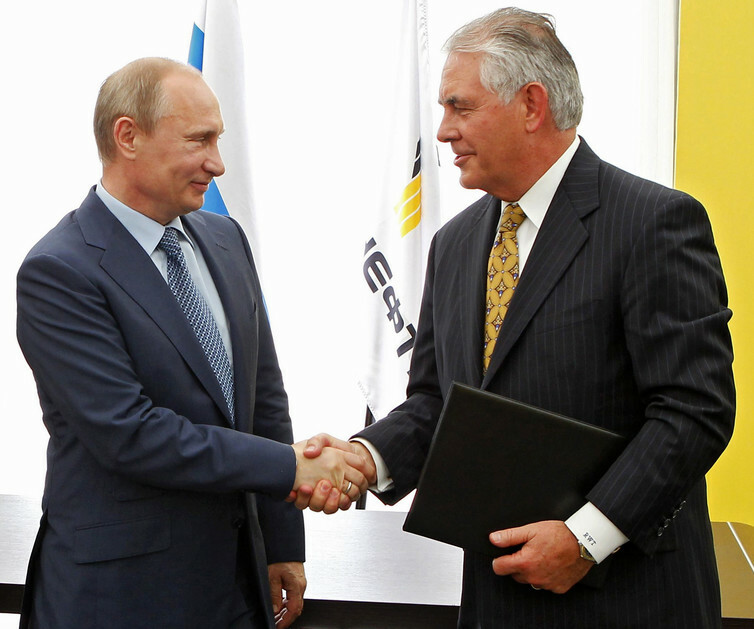 Exxon Mobil CEO Rex Tillerson, Donald Trump’s choice for secretary of state, shakes hands with Russian President Vladimir Putin in 2012 after signing an agreement with Russian state-owned oil company Rosneft. The companies’ joint venture to develop energy resources in Russia’s Arctic waters has been blocked by U.S. sanctions on Russia since 2014. The section 12(a) authority is similar in some respects to the authority granted by the Antiquities Act, which authorizes the president to “reserve parcels of land as a part of [a] national monument.” Like the OCSLA, the Antiquities Act does not authorize subsequent presidents to undo the designations of their predecessors. Obama has also used this power extensively – most recently, last week when he designated two new national monuments in Utah and Nevada totaling 1.65 million acres. Some laws do include language that allows such actions to be revoked. Examples include the Forest Service Organic Administration Act, under which most national forests were established, and the 1976 Federal Land Policy and Management Act, which sets out policies for managing multiple-use public lands. The fact that Congress chose not to include revocation language in the OCSLA indicates that it did not intend to provide such power. What can the new Congress do? Under Article IV of the Constitution, Congress has plenary authority to dispose of federal property as it sees fit. This would include the authority to open these areas to leasing for energy development. Members of Alaska’s congressional delegation are considering introducing legislation to override Obama’s drilling ban. But Democrats could filibuster to block any such move, and Republicans – who will hold a 52-48 margin in the Senate – would need 60 votes to stop them. On the other hand, Congress may be content to let President-elect Trump make the first move and see how it goes in court. If Trump attempts to reverse the withdrawal, environmental groups contesting his decision would face some of the same obstacles as an industry challenge to Obama’s action. 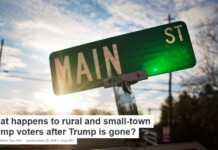 It could be especially challenging for environmental groups to show that the claim is “ripe” for judicial review, at least until a post-Obama administration acts to actually open up these areas for leasing. That may not occur for some time, given the weak market for the oil in these regions. In the meantime, this decision is a fitting capstone for a president who has done everything within his power to confront the existential threat of climate change and rationally move the nation and the world onto a safer and more sustainable path.